First the antlers are coated with several layers of layex which will then act as the material that provides all of the texture detail. 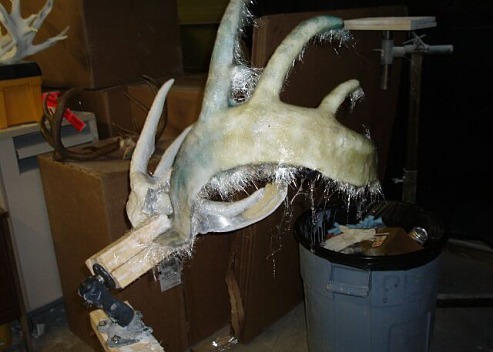 The result is that each replica will match the original antlers bump-for-bump. Layers of fiberglass are then laid over the latex to provide a strong framework to support the pouring. Separation lines are designed and flairs built to aid in the proper separation after pouring. The first set has emerged from the mold. A slight bit of cleanup yet to do and then they get painted to match the coloration of the original. 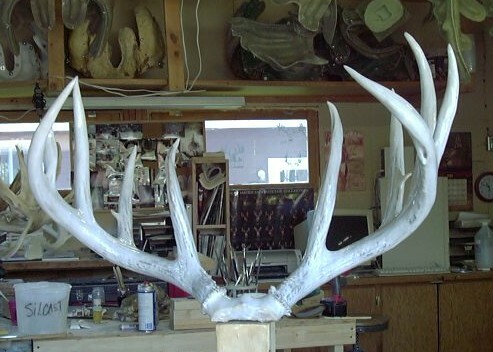 A completed set of antlers!!! I think he did an incredible job on matching the coloration of the originals. 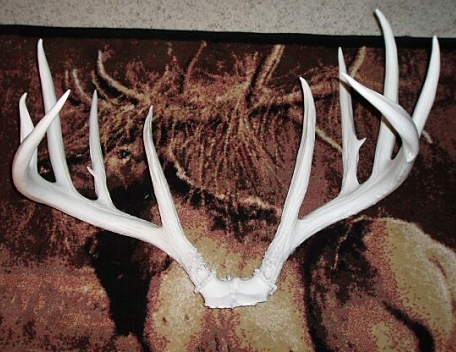 Please contact me if you are interested in a set of replica antlers, or a completed mount. 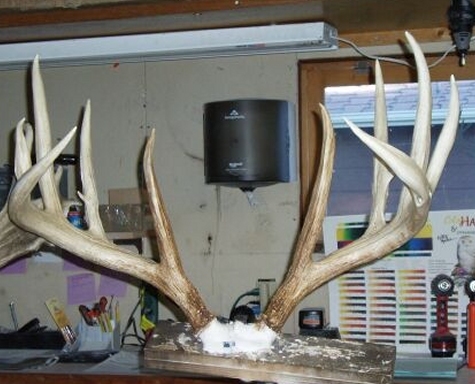 I would be honored to have you display the deer.